A tough championship opening hole where a tee shot slightly to the left is favourite and ensures the best route to the green. The fairway is just 30 yards wide with a bunker on the right side which for some is the line. 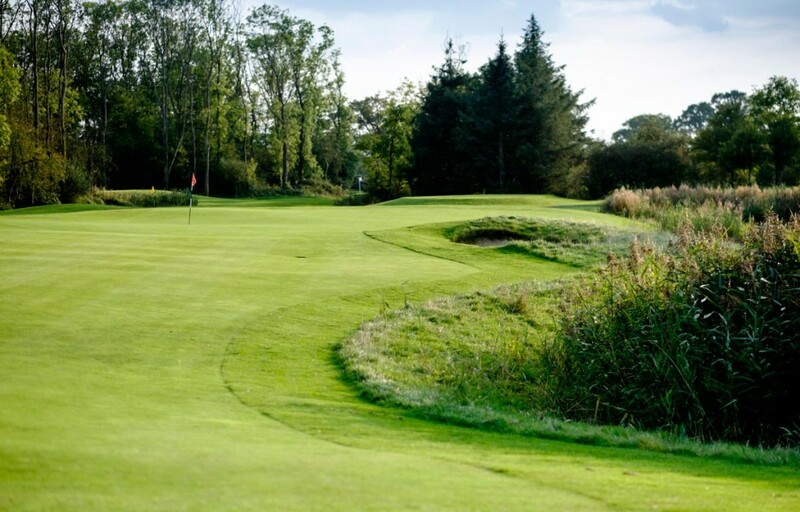 The approach is likely to be played from some 150 yards from a high plateau to the green flanked by a solitary bunker, the lake and the plantation known as 'Fat Jack' Probably a drive and a medium iron from the regular tees, the tee shot is some 70 yards shorter avoiding most of the trouble. Take advantage of the downhill slopes and you can reduce this hole to a mere pitch. 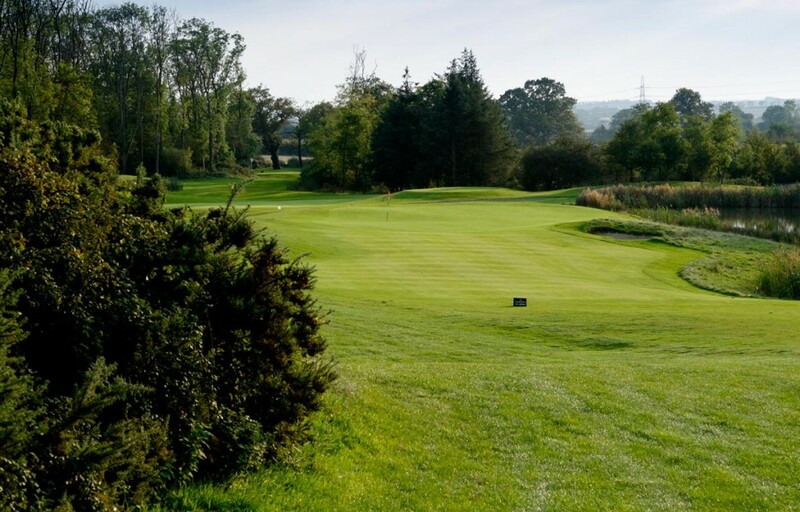 Beware of the green, it's over 40 yards long and twists towards the lake with enough ridges to keep even the devilish green keepers happy for weeks!